Why use a branding agency and what exactly do they do? A branding agency offers a specialised service that will create, build, improve, shape and strengthen your brand (your promise to your customer). The business term “branding” involves strategical action to make your business stronger through public perception. Small, medium, and large companies all need branding. It’s how you stand out from the competition and it allows you to better connect with your customer. At TRCREATIVE, we understand that branding might mean starting from scratch and developing a brand in its entirety, or it could simply be about refreshing what you’ve already got (a rebrand) to bring your business bang up to date. Whatever you need, we’re creative and clear-headed. We think, develop and implement. We never get lost in what we do. WHAT EXACTLY DOES A BRANDING AGENCY DO? If you’re considering using a branding agency for your business, then you’ll want to get a handle on exactly what they do and, most importantly, what they can do for you. As you’d expect, a good branding agency will be experienced and specialised with a professional approach when it comes to developing and supporting your brand. At TRCREATIVE, attention to detail and in-depth knowledge about what your business is all about is essential before a brand strategy can even begin to get underway. This groundwork sets the foundation for the creative process, design, image, and communication. Any branding agency worth its salt knows the importance of the logo – it’s the heartbeat that pumps the brand message around your business. Branding, of course, is not just about the logo but it is an important identification badge in business. Your website, packaging, promotional materials will integrate your logo, therefore it’s got to be great. Indeed, everything to do with your business should communicate your brand. It’s also worth bearing in mind that a branding agency is not about a one-off quick fix. It’s about a well-thought-out process that takes into consideration your goals and objectives, your values and your brand promise, as well as thorough knowledge about how you connect and communicate with your target audience and, of course, your employees. As thebrandingjournal.com observes, a branding agency is like an additional department within your organisation. A specialised branding agency will also know your market inside out and will identify your competitors. This will give insight into how other brands are doing and how your brand stands out or doesn’t, alongside the competition. Good branding works brilliantly. Look no further than examples of some businesses that have raised their profiles and profits through highly effective branding. Fashion brand Paul Smith went from one shop in 1970 to 300 worldwide with a healthy annual turnover of 200 million. Shelter, before its rebrand, reached 80,000 service users. Fast forward 10 years with branding in place and Shelter now reaches 5 million. Other success stories include Miller Lite. It raised its market share and increased profit by over £30 million after a re-design. Amazon also reaped the rewards of a re-design. Its instantly recognisable logo has been printed over 100 billion times on packaging since the logo revamp. 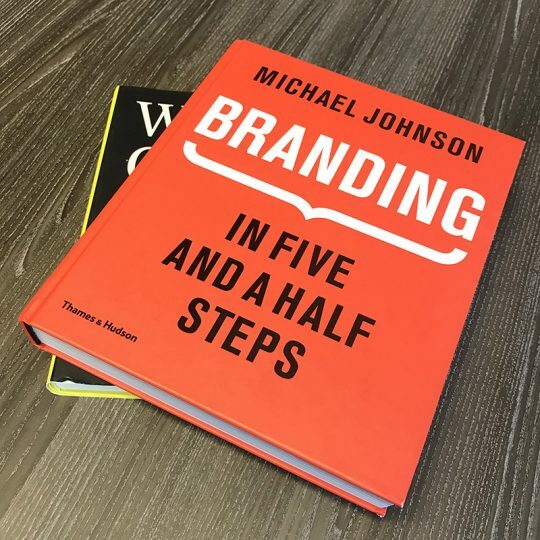 Branding in Five and a Half Steps by Michael Johnson highlights the case for putting the work in before and after rebranding. He stresses the importance of data collection, stating that if an organisation collects enough data about its company pre-brand and continues to do so post-change, the brand project should see a significant boost in business: more brand awareness, more funds raised, and so on. Information about a brand does go a long way. Gathering data is one of the surest ways to clarify what is unique about a company, product, person or organisation. This invaluable knowledge contributes to overall branding effectiveness in the long-term. Research: brand strategy starts by asking questions about your business to get the most accurate idea of what the brand is about and what you want to achieve. Detailed research and analytics at this stage lay the foundation for what comes next. How: planning needs to take place on how to get your brand message out there. For example, will be visual or verbal? What distribution channels will you use? What: discussing what your brand message should communicate is a vital part of the branding process. Keep the message succinct and relevant: it will be better understood. Where: identifying where you want to deliver your brand message sharpens overall communication focus. When: establishing a timeline and working out when the brand launch or re-brand will happen gives a deadline to work towards and sharpens time management. Explain the benefits and features of your products/services. What do people think about your company? What qualities would you like to be associated with your brand. This business self-discovery, of course, involves research, and lots of it. This is the only way you can truly learn the needs, wants, likes, dislikes, and habits of the people who are going to engage and buy into your brand. Brand logo:your logo is going to go e-v-e-r-y-w-h-e-r-e. So it needs to be a good one. Brand messaging: whatever you want to say about your brand, it needs to be communicated clearly and effectively. Your employees should also know exactly what your brand is all about so they can promote the brand at every opportunity with confidence and clarity. Brand integration: every single thing that moves, breathes or relates to your business gets the branding treatment. Not just obvious stuff such as packaging, uniforms, or signage but all the rest too, including email signatures and what you/staff say when you pick up the phone. Like glitter, the brand message should get everywhere. Brand voice: set a tone and stick with it. Ask yourself what you want your brand voice to “sound” like. Do you want to come across as friendly and chatty or more grown-up and formal? The tone should reflect the brand. 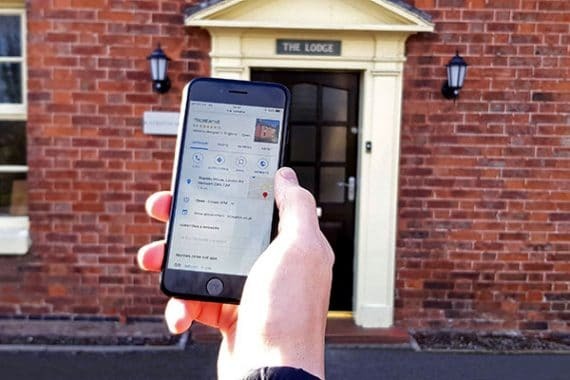 This “voice” will be consistently used across all communication from email correspondence and marketing material to newsletters and social media content, so make sure you like the sound of it. Brand tagline: think of something short and snappy that sums up what your brand’s about in a few words. Attention spans are short these days so you’ve got to get your brand across in the time it takes to thumb swipe. Brand design: whenever you get creative, be consistent. Choose fonts and colours, then stick with them. Know where your logo will go. Design work should have the “same” look and feel to it – this will make it instantly recognisable. Brand promise: only say it if you mean it. If you make a brand promise, always follow it through. If you get caught out on a lie, customers will never trust or recommend your brand. Brand reputation: what people think of your brand, their expectations of your brand, and their belief in your brand promise – this is what your brand reputation is made of. So whatever you do in connection with your brand, it should make you proud. Before we break down branding into different types (because one size doesn’t fit all), it’s important to point out that there is one core purpose that unites the entire process, despite the differences. One thing remains the same: branding is understanding. At TRCREATIVE, we know that the more we understand and get to know your business, the more we have to work with when it comes to creating a great strategy that will, ultimately, result in an awesome brand. Your brand. What type of branding will work best for you? This entirely depends on your needs and wants. Corporate branding is about taking a brand image and making it more powerful, positive, and memorable (for all the right reasons). In this instance, it’s not about promoting products and services. It’s about building brand awareness and standing out from the crowd and competitors. It means building trust with your target audience. 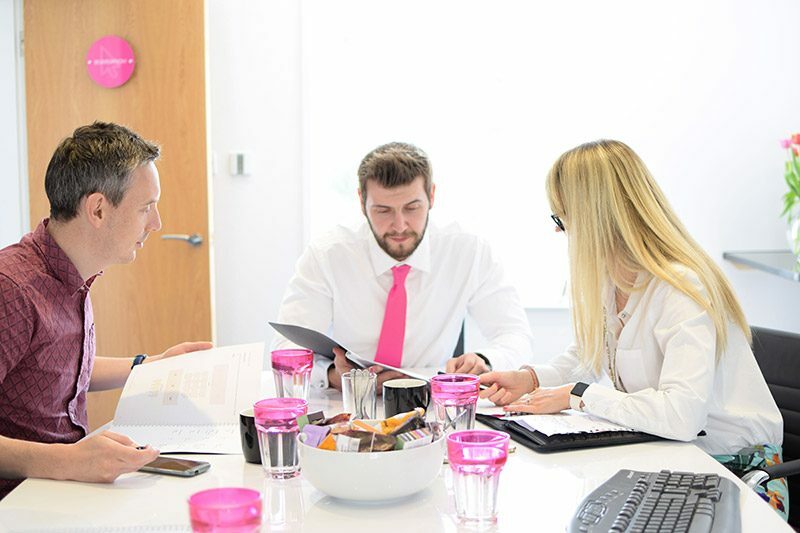 Choosing TRCREATIVE means you’ll be working with a dynamic team of people who know exactly what to do when it comes to developing and promoting your brand. We know what it takes to create positive perceptions and associations in people’s minds, which is key to loyalty and repeat business. We’re also big on meaningful branding. The actual word “corporate” might sound large and officious but every brand still needs to come across as approachable and “human”. Okay, so a corporate business is not necessarily a touchy-feely one, but you don’t want to scare people away. Our team at TRCREATIVE understands that meaningful branding needs a “human” touch. Your brand can be likeable as much as it is reliable. There also needs to be a “realness” to how you come across, not an aloofness. It can get lonely out there if no one interacts with your brand. There’s truth in the saying, a change is as good as rest. If your brand is tired and not performing as good as it once did, business will suffer. Customers don’t want “tired”, they want fresh and perky; they want to buy from an energised brand that’s full of optimism and passion, a brand that looks as though it’s at the top of its game. We specialise in this field because we’ve built up a great deal of experience through rebranding. If you don’t give people what they want, they’ll simply head over to your competitors. Before it gets to this, let us help you make a change for the better. Think of it as a new look, a freshen up, a business nip and tuck. This is what a rebrand is all about – bringing your brand and logo bang up to date. You want to look as good as the products and services that you sell. Experience is not the only reason TRCREATIVE is big on rebranding. We get excited about this side of the business too. We love the whole process: the “before” and “after” transformation makes it all worthwhile. Don’t just follow: don’t blindly follow re-brands trends just because everyone else is doing it. Not only does this put your brand at risk of looking like everyone else, you might get caught up in doing what’s popular but not necessarily right for your brand. Don’t rush in: if your competitors are re-branding, it’s easy to get the fear of missing out and think you’re getting left behind. Rushed decisions and change for change’s sake is asking for trouble. Instead, put the time into research and gathering information; this will put you in a stronger position when it comes to making the right decisions for your brand. Do grow and change: evolve with your brand. No one and nothing stays the same. Over time, brands need some TLC and a refresh. This shows your customers and your competitors that your brand exists in the moment. You are prepared for the future and whatever challenges and changes lie ahead. Do test your designs: put new designs out to focus groups and listen to feedback. Google’s rebranding was tested exhaustively before its new identity was revealed. It didn’t spring any surprises either; it let its audience know what was going on and that rebranding was in process. Sometimes people need time to come around to change. Customers are creatures of habit; they’re loyal and they like what’s familiar and comfortable, so a little advance warning and transparency goes a long way. Now, this is a really interesting part of branding. It almost works like mind reading, getting inside the heads of your customers and having a poke about to see what makes them choose a certain brand. Like buyer psychology, we apply this process to your product branding. It needs to convey the “must-have” factor and it needs to shout “pick me,” over all the other similar products out there. People are marketed to all the time, so your product needs to have a big, shouty voice and stand head and shoulders above the competition otherwise it will never get noticed. We’ll put all our experience into your product branding to make whatever you’re selling look special and unique. It’s about creating that “whatever you’re selling, I’m buying” mindset. In other words, we’ll make you irresistible. People will come back for more. Knowledge is power. We always start in question mode. It’s the investigation part of the branding process. It’s about digging deep and unearthing all the information about your business. Granted, it’s not always going to be pretty but it’s the only way we can get a real feel for what is going on with your company or organisation. What makes you stand out from your competitors? How do you want to come across to the outside world? We address any problems you face and explore all the opportunities that exist or await. We can even set up focus groups to get a clearer idea of your public perception. This research is invaluable when it comes identifying weak spots or gaps that need to be strengthened/filled. Once the groundwork research is done, we can start to really define what your brand is about – what it stands for and its core purpose. This is the “verbal” bit of the brand. Think of it as our “define before design” stage. We need to know what your brand narrative is before we can visually tell your story. By narrative, we mean how you would sum up your brand in words, like a headline or a paragraph. What do you want your brand to say to people? At this point, we’re already thinking how this verbal part will connect with the initial visual part of the branding process. Verbal and any early visual elements should ideally influence each other and come together or at least bounce off each other so we can prepare for the main design work, which becomes part of the overall story you want to tell. Now the design work can start. Our designers will be fully briefed and the entire creative process is discussed in detail. The ideas begin to bounce back and forth until the strongest ones start to flow in the right direction. And if we need to do more research or have more discussions at this stage, we will. Then we’ll create 3 different concepts for you to choose from. This will give you an ideal opportunity to compare and contrast – to see which design speaks to you the most. Decision time, action time. 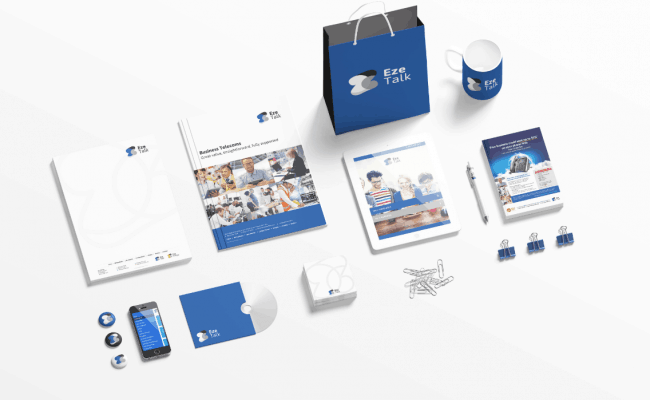 This is when everything comes together – the preparatory research and the verbal and visual work of steps 1 and 2 have been carefully crafted into concepts that represent your brand. We showcase each one so you know exactly what to expect, which hopefully helps when it comes to picking “the one”. Once you’ve decided and everything’s agreed, we implement the concept and move it forward. Good execution at this stage means a successful launch. It means your brand it will be seen, heard, and understood. Yes, that’s right, we don’t stop. It might be the last stage but it’s by no means the end. Once your brand is launched, we know there’s still work to be done. To us, this “develop” stage is an on-going one because brand work needs to be monitored and progressed. We need to see how it comes across to people, how it engages them and makes them take notice. We’re on this brand journey together. Our focus and commitment keeps your brand fresh and relevant. There’s no point building a brand if no one’s around to take care of it. And down the line, when the time comes to revive it or refresh certain aspects of your brand, we’re already on the case. Your actual brand name sets the tone and personality of your brand. It is integrated into the design, logo, and communication of your business. Your brand name is your identity. It is your uniqueness. It can evoke emotion, describe your business, or suggest meaning. In a wider sense, a brand name is so important because it puts meaning behind the business. It should trigger a positive association. Powerful brand names drive demand and pricing power, according to Forbes when discussing the world’s most valuable brands. Look at some of the biggest companies out there – the billion-dollar value ones such as Apple, Google, Amazon. They drive huge profits and dominate their market. The one thing that unites each one, no matter their differences? These companies have a strong brand name. It carries weight. It forges excellent customer connections, bringing brand and person closer together. In short, the stronger your brand, the greater your success. Your brand name is your superpower. Guidelines keep your brand on the right track and moving in the right direction. Guidelines guarantee consistency across your brand, which reassures the customer. People like to know what they’re getting. Think of brand guidelines as a set of rules (the dos and don’ts) you should stick to. Your brand is your personality, your values, and your vision – your guidelines evolve around these key points. Brand guidelines address all the important stuff you can’t afford to forget about, such as the rules surrounding the use of your logo; colour palette details; typography; what type of imagery or illustrations you use; a tone of voice; the language you use. Identifying all this and writing it down brings your brand together. It shows cohesiveness and consistency in everything you do. Without guidelines, it’s easy to get lost. You never want to lose sight of what your brand’s about. We’ll take care of your brand guidelines. It’s one less thing for you to think about. It’s invaluable to get an outside perspective on your brand. Good branding agencies will clarify what your business stands for, what you have to offer, and how your brand can more effectively connect and communicate with your customers. Graphic design: bringing visual identity to your business. Communication: creating a voice (formal or relaxed) for your brand. Creative thinking: generating big ideas for your brand. Forward planning: leading your brand into the future. Marketing ideas: introducing customers to your brand. Ongoing awareness: refreshing communication so your brand remains relevant. Our approach is friendly, questioning, and curious. We want to know everything about your brand because this enables us to deliver the best creative solution. We don’t just present a concept as a done deal, we give you choices and opportunities to discuss, ask, suggest and be involved if you wish. It’s your brand after all. Use our expertise to make it a great one. You’ve put a lot of hard work into your branding and business, so make sure no one steals your thunder. It is important to protect your brand. For example, having the right type of intellectual property protection helps you to stop people stealing or copying the names of your products or brands, the design or look of your products, and even what you write about your brand. Some protection is offered automatically, the rest you’ll have to apply for. Visit the Trade Mark Office for more information.